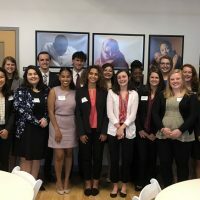 The Cleveland Foundation Public Service Fellowship offers emerging young leaders the skills and networks needed to create the community they envision and jumpstart a career in public service. 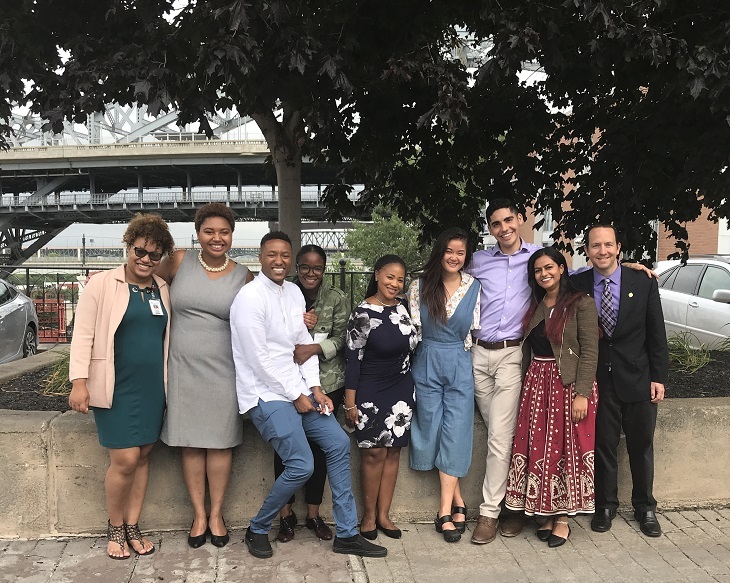 In our #FellowFriday blog series, hear from members of the 2017-18 Cleveland Foundation Public Service Fellowship cohort about their year-long experience working and living in Cleveland. We’re currently accepting applications for the 2019-2020 fellowship. Learn more and apply here. Why did you initially decide to participate in the Cleveland Foundation Public Service Fellowship? 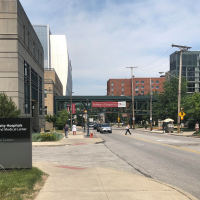 Admittedly, I always knew that graduate school was an essential next step for me in my career journey, so by the end of my junior year of undergrad, I had already applied and was steadfast on furthering my studies. However, by the time I was close to graduating in the spring of 2017, the increasingly vitriolic tone that appeared to penetrate the atmosphere across the country left me truly craving an opportunity where I could directly serve and be in tune with my community back home. As I continued to investigate the Fellows and their transformative and unifying work across the public sector, I increasingly realized the great potential this fellowship lends in fostering young professionals and facilitating meaningful work to benefit all. What was the most valuable aspect of your fellowship experience? The most valuable aspect of the fellowship experience has been the wonderful relationships that I’ve been able to build, both at my host-site, the Cleveland Metroparks, the Cleveland Foundation, with collaborators, and with my fellow Fellows! Professionally, I continue to be inspired everyday by movers and shakers in Cleveland who relentlessly advocate and rally to make their home the most welcoming, equitable, and flourishing that it can be. Along the way, I’ve been able to rely on wonderful mentors and leaders who generously encourage me, challenge me, and help me learn to uncover the complexities in the challenges we attempt to ameliorate, as well as the solutions we push forward. All of these developments are exponentially intensified through the enduring support system that is the rest of the Fellows cohort, both past and present. Having some of the brightest and kindest minds to share this transition with has, on more than one occasion, proved vital in powering through challenging times and making happy times even brighter. Through this fellowship, I can safely bet that I have made lasting friendships and bonds that will last for many years to come. What has been the most challenging aspect of the experience? One of the most challenging aspects to working in the public sector is rooted in one of its best assets: the fact that institutions, communities, and individuals are complex, diverse, and have histories. While Fellows are placed at the forefront of key projects, interventions, and initiatives, the learning curve for understanding the highly convoluted and multifaceted issues that you are directly tackling is often longer than what is available before ‘getting to work.’ Trying to juggle predictive skills, manage day to day, and attempt to learn and relearn all the tributaries that lead to persistent challenges is a sometimes an exhausting, though enduringly essential skill within this sphere. When you’re not working, what do you enjoy doing around Cleveland? Throughout the year, I love to go for walks around our shore. Edgewater gives a beautiful view to downtown that can be accompanied by green grasses and sapphire blue waters in the summer, or blankets of snow and a frozen lake in Winter. Either way, I always find peace when looking a concrete city nestled by an expansive piece of nature. What’s your favorite Cleveland restaurant, and what dish do you recommend there? As someone who likes to plan my day around my next meal, I’ll give you a few options. Downtown, Zaytoon’s is an awesome quick stop that serves up yummy and perfectly crispy falafel and the most delicious zaatar dusted fries. For a more formal Mediterranean establishment, Taza has the most divine fluffy pita and delicious lentil soups. Towards the west side, Lucky’s Café is a wonderfully cozy place to dig into gingerbread waffles and sip on a perfectly sweetened Chai for a lazy Sunday brunch. Finally, I have to thank my fellow Fellow Stephanie for introducing me to Phnom Penh, which has a gigantic menu that serves the tastiest tofu and Cambodian fare in town! How has this fellowship affected your career plans? This fellowship has added so much dimension and clarity to my career plans. Having the opportunity to engage with community health and research efforts has confirmed that this is the space that I want to continue to grow and contribute towards. 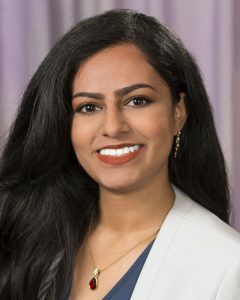 Although it’s a multi-disciplinary subject by nature, the interactions and collaborations I’ve been able to work with firsthand have opened my eyes to the different lenses and diverse players that public health workers must engage with in order to systematically tackle health related disparities. What advice would you give to someone considering applying for the Cleveland Foundation Public Service Fellowship? One piece of advice I would offer applicants to this program would be to reflect on the values that drive why you want to work in the public sector. In my experience, while specific skill building and networking are essential to a professional life, they are often implicitly a side effect of the more meaningful work that your cohort, organization, and community will strive towards as your become part of a larger vision. Especially in the public sector, working in an environment that is not conducive to your values will create a toxic and unproductive atmosphere. Having a strong and clear set of aligned values will allow you flexibility in the operations of your work, the chance to more purposefully listen, and ultimately the best opportunity to learn throughout the fellowship process. 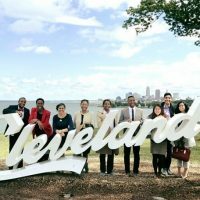 Cleveland Foundation Internship and Fellowship Opportunities – Apply Now!